If you are a sports fan then you’ll know that the Kentucky Derby is being held this coming weekend. With that in mind, I thought there is no better way to kick off the week than by writing a short review about a Kentucky Straight whiskey, 1792 Ridgemont Reserve. 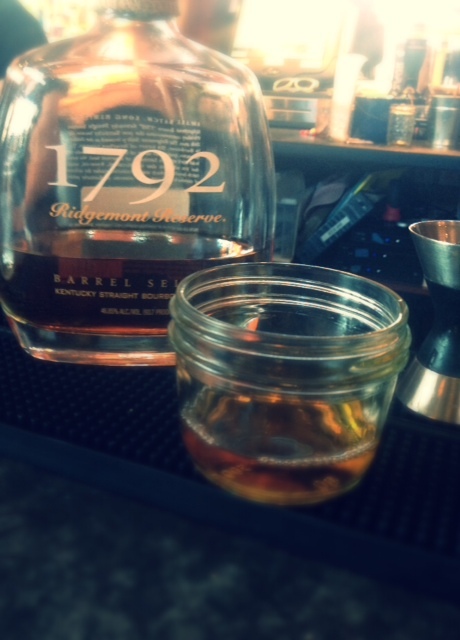 1792 Ridgemont Reserve Kentucky Straight is made by the Barton 1792 Distillery in Bardstown, Kentucky. If you aren’t up in your America history (I sure wasn’t) 1792 was the year Kentucky entered the Union and became the 15th state. It’s certainly a year of great significant for any Kentuckian. Due to that significance alone, I really wanted to love this bourbon, however I was sadly disappointed. It’s not bad bourbon, it had moments of potential, but to me it was simply just ok. I didn’t dislike this bourbon; I just felt there was missing something. My downfall could have been having high expectations; however I think I am always going to have high expectations of every whiskey or whisky I taste. Is it good bourbon, yes it’s good bourbon. Is it great? No I don’t think it is, but I have certainly had bad bourbon before and this bourbon doesn’t fall into that category. For the price ($25-$35) this bourbon is worth it. My recommendation, try it before you buy it and then you decide.